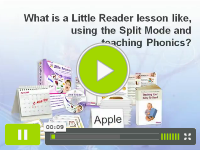 This lesson uses the flash method, which involves rapid flashing of words or pictures to your child, taking advantage of your child's right-brain ability to absorb large quantities of information rapidly. 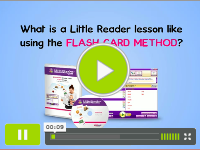 These lessons simulate physical flash cards being flashed quickly to your child. 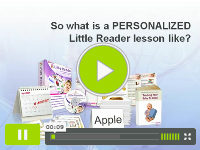 The lessons here are set to be auto-forwarded so you only need to let your child watch them. Typically, eighteen words (six words from three Categories) are shown each time - at first (Session 1) the words are flashed as they are listed, and the next time (Session 2) the words are flashed in a random order. 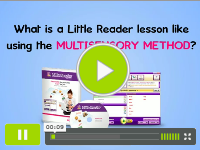 This method works by involving as many of your child's senses as possible. The most important thing to remember here is to interact with your child as much as possible. Let your child not only see and hear the word, but also feel the word whenever appropriate. For example, help her clap her hands for the word 'clap', rub her ear for the word 'ear', and let her feel yellow objects for the word 'yellow'. If you can engage the sense of smell and taste too, then even better! 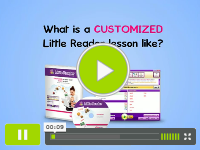 The lessons are set to be manually forwarded (either by clicking on the mouse or pressing the spacebar), so take as much time as you need. 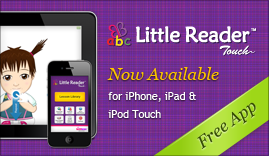 Where appropriate, run your finger under the words as the words are read, so that you indicate the direction of reading. Typically, six words from three Categories (eighteen words in total) are shown.